Close to 400 of the best anglers and co-anglers in the country will launch out of Blythe at 7:00 a.m. each morning with lakeside weigh-ins beginning at 3:00 p.m. The final weigh-in on Saturday, April 7th will be held at the Bass Pro Shop in Concord Mills at 4:00 p.m. Takeoffs and weigh-ins are free and open to the public, and food concessions and giveaways will be available at the first two weigh-ins. Official practice days are April 2nd, 3rd, and 4th making for a week-long event. 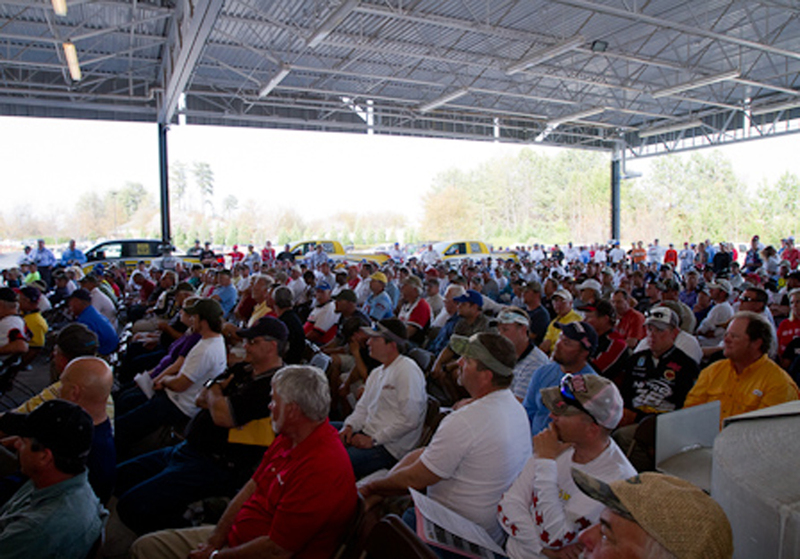 Angler registration will be held on April 4th at Michael Waltrip Racing. “B.A.S.S. is excited to return to Lake Norman once again in 2012 for the Bass Pro Shops Bassmaster Southern Open Tournament. The region offers plenty of housing options, restaurants, and a superb fishery for our competitors. We expect nearly 400 anglers to be registered for the event and most competitors will come in several days, if not more than a week, prior to the competition days. The lakeside facilities at Blythe Landing are outstanding. B.A.S.S. events require full partnership and support of our local hosts. Visit Lake Norman is a tremendous asset to work hand in hand with and are fully committed to providing a fantastic experience for all”, said Chris Bowes, B.A.S.S. Tournament Director. For more information about the upcoming Bass Pro Shop’s Bassmaster Southern Open please contact Travis Dancy, Sports Sales Manager for Visit Lake Norman, at 704-987-3300 or tdancy@lakenorman.org.